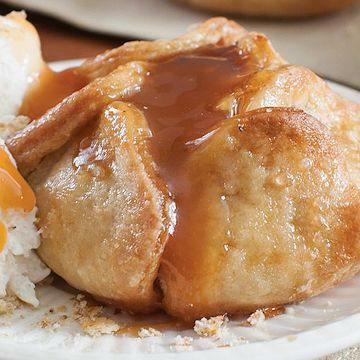 A delicious made-from-scratch pastry filled with freshly peeled apple slices and topped with real cream caramel. This dessert has that homemade flavor like mom used to make. Individually wrapped. Simply heat in the oven or microwave and serve warm with ice cream for a delicious sweet treat.